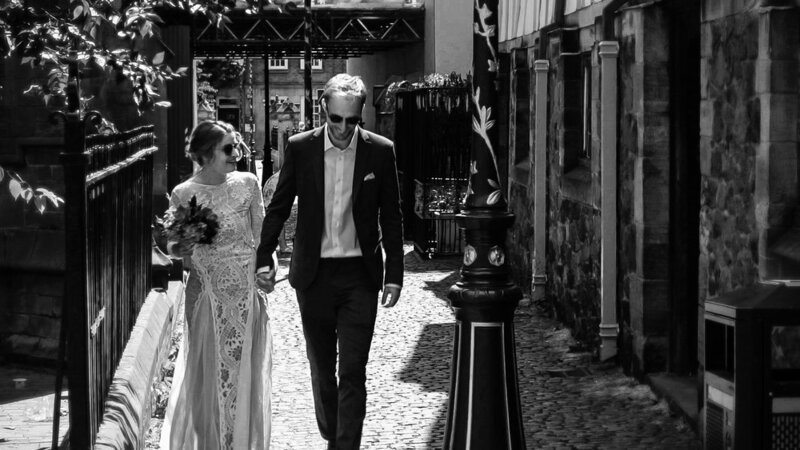 I am delighted to be able to share the wedding film of Helena and Tom that took place at the historic Guildhall that dates back to 1390 and is located in the old walled part of the city of Leicester. The party then moved on to the cool Café Bruxelles for the afternoon and evening. Photography on the day was by the brilliant Alex Benyon. I too managed to capture a few stills that can be seen below. Copies on DVD or Blu-ray of the films can also be purchased below. I would just like to thank Helena and Tom for inviting me to film their day and I hope you enjoy the film. All discs include: Highlights Film, Ceremony, Speeches, First Dance, Sights & Sounds and the Video Diary. Available on DVD, Blu-ray and as a Combination Luxury Blu-ray and DVD Box Set. Free Delivery.